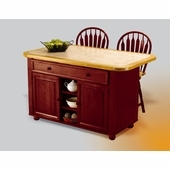 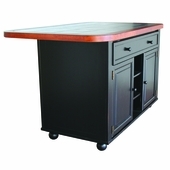 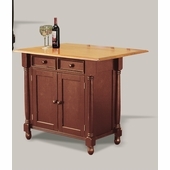 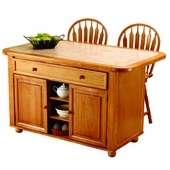 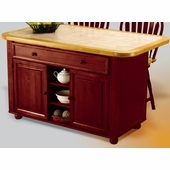 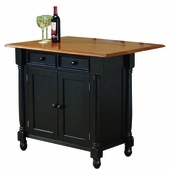 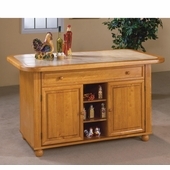 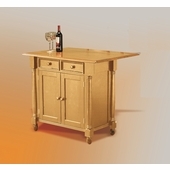 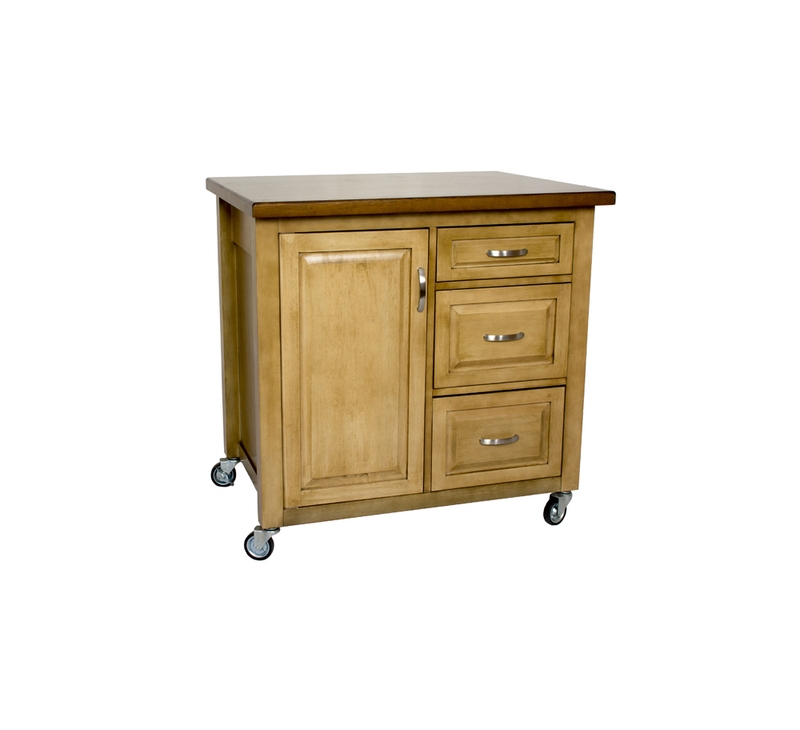 Instantly expand your kitchen or dining room work surface and storage area with Sunset Trading�s Brook Kitchen Cart. 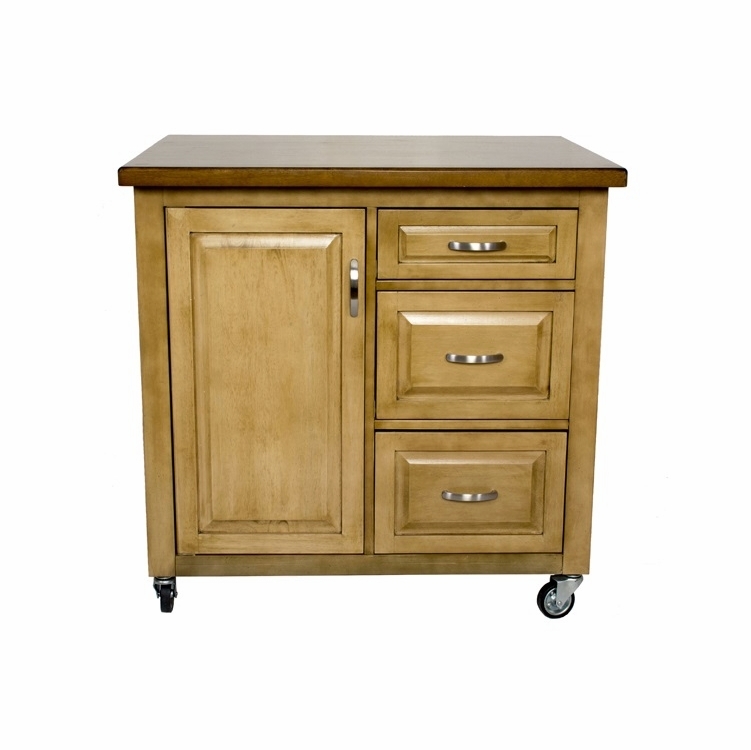 This eco-friendly kitchen cart is made using sustainable solid rubberwood and designed to last for generations. 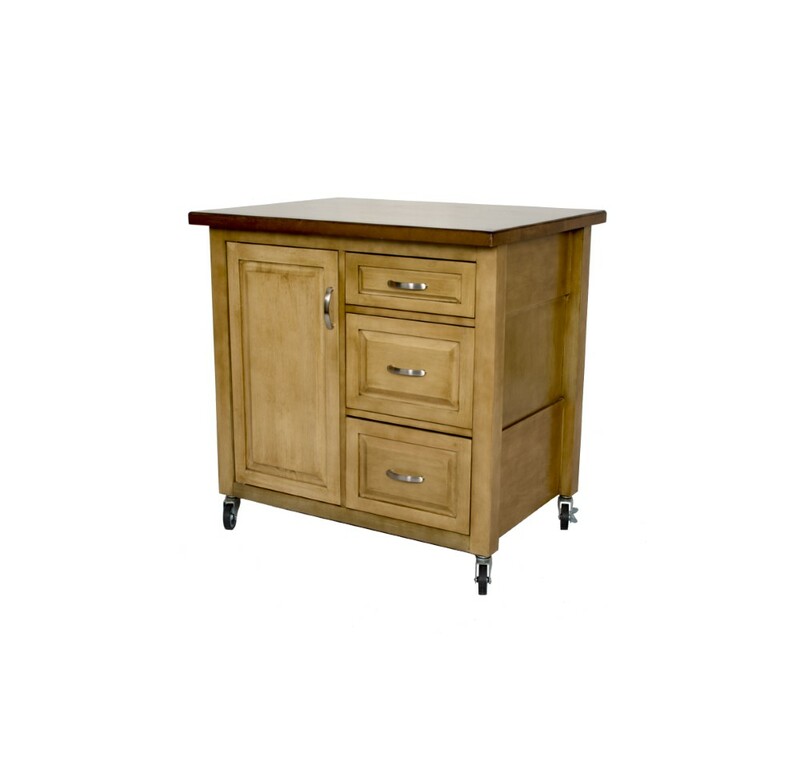 The beautiful raised panel doors and drawer fronts provide the ultimate in style to dress up any room in your home. 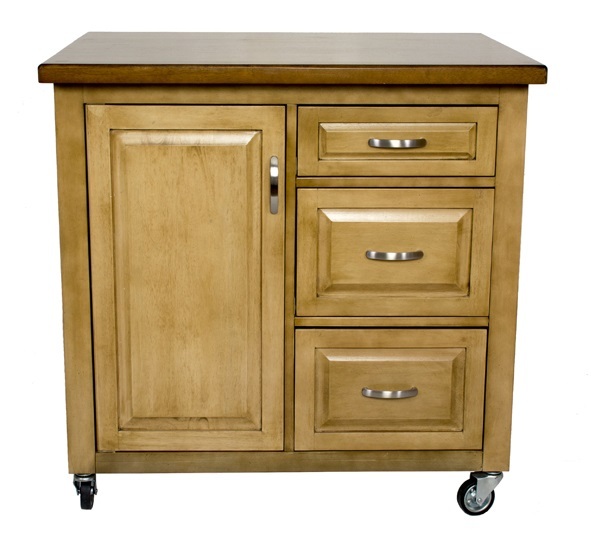 Three deep, full extension drawers are great for anything from utensils to storage containers. 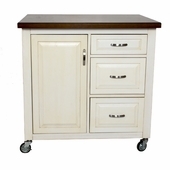 Behind the door, an adjustable shelf provides plenty of storage space for things that you prefer to be out of sight. 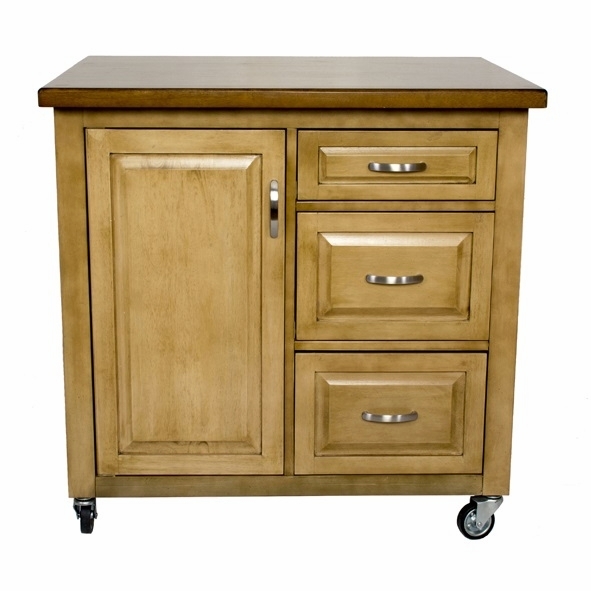 Style, function, and quality make this mobile kitchen cart a smart addition to your home.